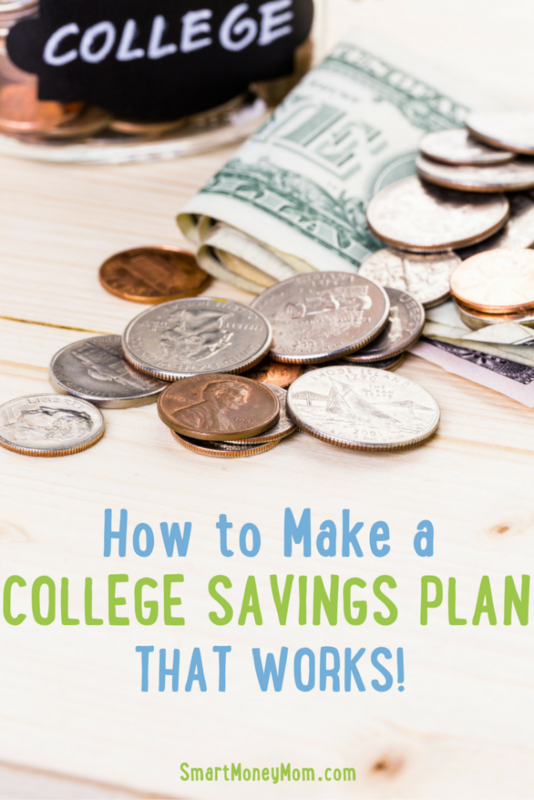 Figuring out how to make a college savings plan that works for you and your family is important. Having kids includes all kinds of financial responsibilities, and if you don’t want them to struggle to pay for their education you have to include that expense as well. Budgeting in college savings is a crucial thing you do not only for their future career, but their future financial stability. As soon as you find out you are having a baby, start a savings plan. A simple savings account set aside just for college for your child is a place to begin. As little as $5 per week into that account can add up to over $4000 over 18 years. If you add money from Christmas bonuses, items you sale or when you can afford to budget more, it can be easy to create a nice nest egg for their college education. Figure in interest compounded annually and you can easily have $10,000-$15,000 in savings when they graduate high school. While this won’t cover all 4 years of college, it is better than nothing. They may be able to acquire scholarships, and this would be an excellent supplement to those. Have savings auto drafted from your paycheck. If actually moving the money into your savings is tough for you to manage, you can easily set up an auto draft from our paycheck to go directly into that account. You’ll never see it in your regular account, and thus will be less likely to spend it. When it is budgeted out of your household budget and straight into savings you won’t be looking at it as a cushion should you need extra funds. Keep college savings funds separate from regular savings. This is another huge thing you can do to keep yourself from using those savings account funds when you don’t need to. Create multiple savings accounts. Separate your regular household savings for a rainy day or vacation from your kids college funds. The college savings plan should never be touched to pay for rainy day issues. Put funds into a trust. If you tend to be tempted to take money out of savings for other expenses, you can talk to a financial advisor about putting college savings funds into a trust. While you could still make changes as the executor of the trust, you have so many more hoops to go through to get access to that money you are unlikely to actually do it. Keeping it safe guarded will help you to not spend money you want to keep aside for your kids education. Knowing how to make a college savings plan that works is all about putting in routine practices and safe guards that keep you from spending that money. Make a commitment to put money aside, even if only $1 per week for awhile. A good college education will cost a lot of money, and as a parent you don’t want to start your kids adults lives out with debt because they have to get student loans.